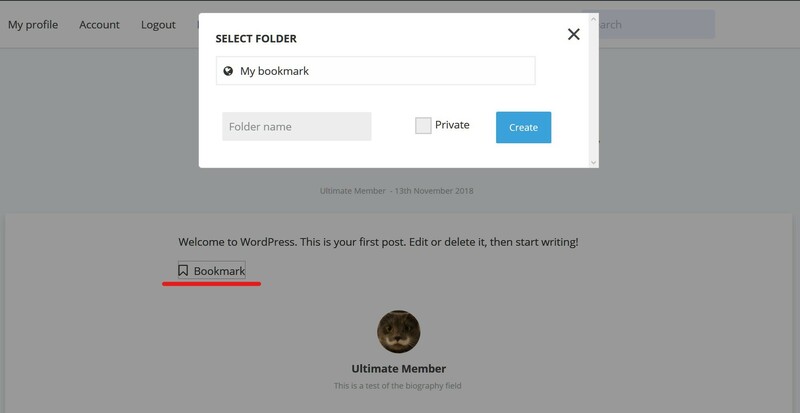 The User Bookmarks extension allows users to bookmark posts, pages, media, and other post types for the quick access from the User page. This document provides instructions on how to setup and use User Bookmarks extension. Bookmark icon position - chose the position of the bookmark icon on the page. Enable bookmark - chose where the bookmark icon will appear. Add bookmark button text - set the text of the bookmark icon. Remove bookmark button text - set the photo thumbnail size. Folders text (Plural) - folder text plural form. Folder text (Singular) - folder text singular form. Bookmarked Icon (CSS class) - CSS class of the bookmarked icon. Regular Icon (CSS class) - CSS class of the regular icon. 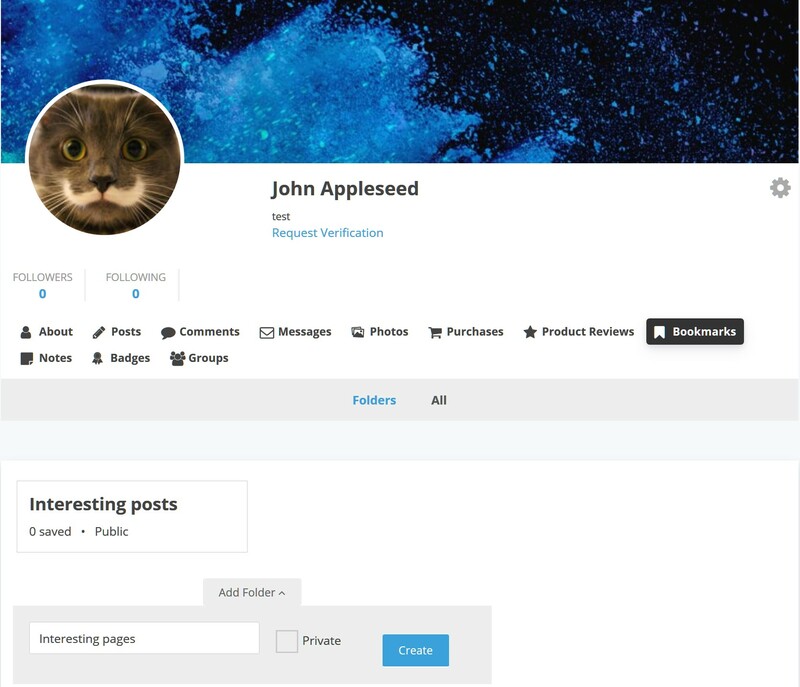 User bookmarks extension adds the "Bookmarks" tab to the user profile page. 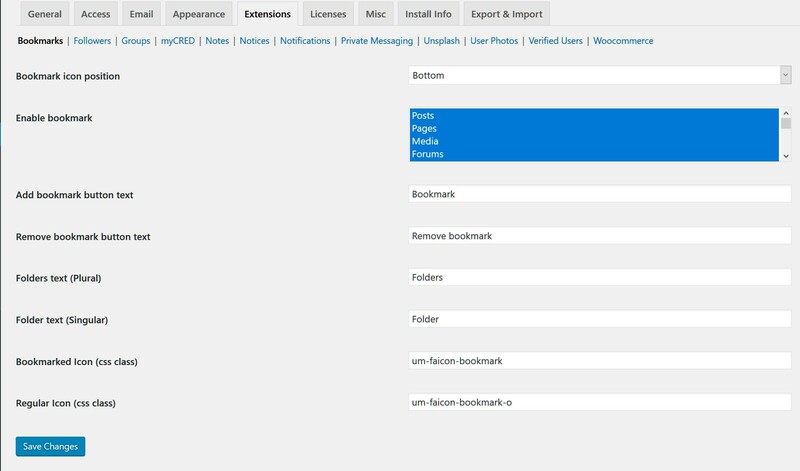 The bookmarks tab allows users to create folders for bookmarks and arrange bookmarks to folders. To bookmark post/page or any other custom post type users should click on the bookmark icon on the bottom of the page. All bookmarked pages/posts or custom post types can be found in the "Bookmarks" tab on the User profile.